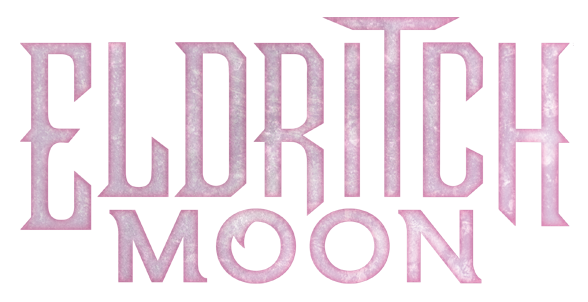 As I contemplate how many times on repeat I can play Flo Rida’s “My House” at my house warming party, I am investigating the Eldritch Moon spoilers. Unfortunately, we will not find any cards with Investigate in this set. Returning are double-faced cards, madness, and delerium. New mechanics are meld, emerge, and escalate. 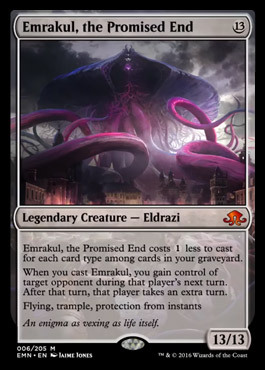 We haven’t seen any rare cards with emerge or escalate yet but we have some sweet meld cards. 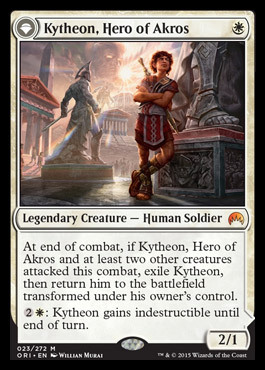 Okay so now after you pick up your jaw off the floor, you can continue to ask what white did deserve to get all these great cards. Gisela draws an obvious comparison to Baneslayer Angel. 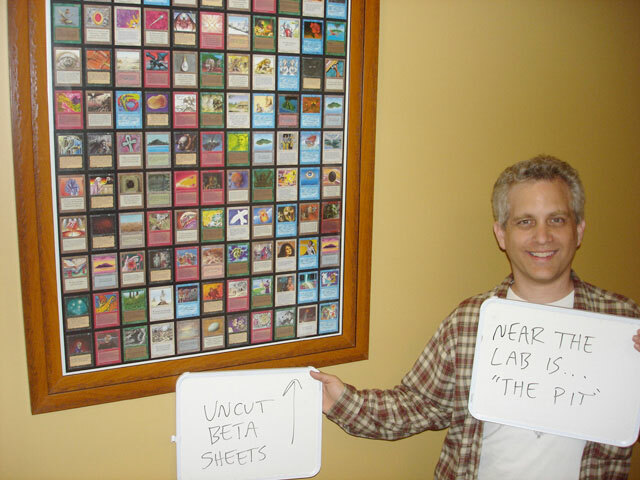 And a lot of people know how good that card was. Gisela is pre-ordering for $26 right now which may end up being close to her price in a month based on how Archangel Avacyn looks now. 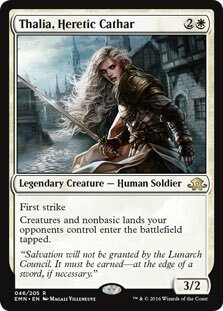 Really at this point pre-ordering Gisela is just a gamble that it’s another Archangel Avacyn and is all over the pro tour or shows up just enough to keep her price tag. I’m not a fan of buying in now. 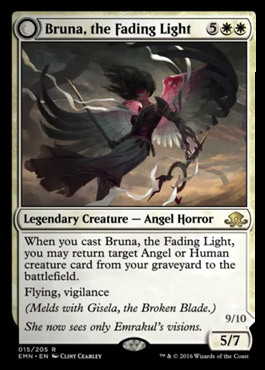 Bruna is another beast entirely. 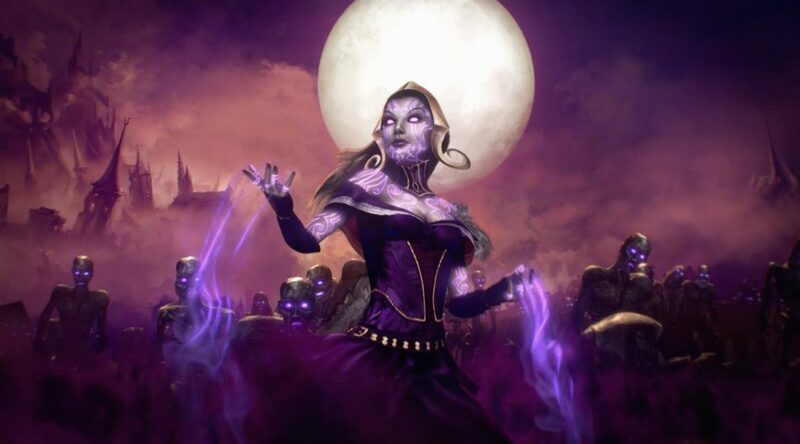 She could be an easy $5-10 card based on play in a few decks much like Westvale Abbey, While she won’t be as ubiquitous as a colorless spell land, she does a nice job of forming voltron with a Gisela that hasn’t been turned into stone. 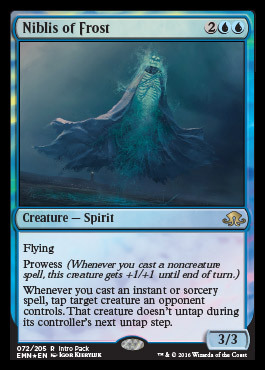 There might be a reanimator deck that stars Bruna if we get some good ways to self mill or reanimate in white. If you want to order her now, I wouldn’t fault you but I want to see more spoilers before I make a decision. Thalia is the legendary human that just keeps on giving. 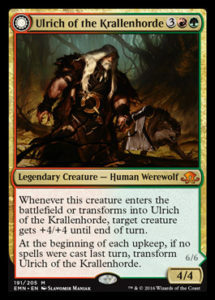 If there was a power level list of legends that got more than one card, Thalia might be the top of it. Thalia pre-orders have already sold out several times on most websites making her price rise astronomically. I don’t think I’d buy her now because she is the buy-a-box promo and she is legendary. If you got in early you probably made out well. Thalia looks to be an 3 mana creature that will easily slide into existing collected company and human decks to add some more power (because we needed it, right?). 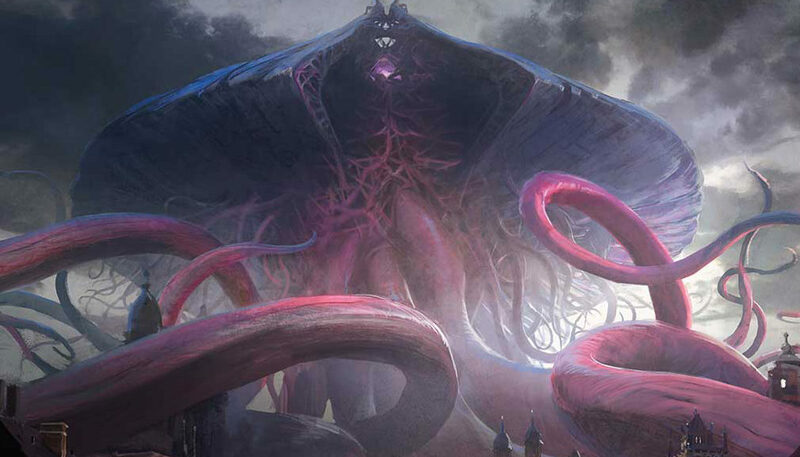 I think the Hanweir meld card might be the best and most likely meld card to see standard play. It all depends on how or if Wizards decides to make Red good again. A lot of the problem it faces right now is the red removal spells just don’t match up as well as white and black removal. 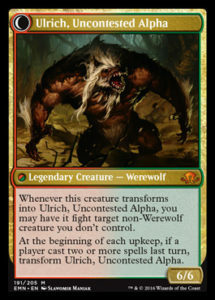 They’re not cost effective versus werewolves and don’t have the tempo boosting power that Declaration in Stone does. 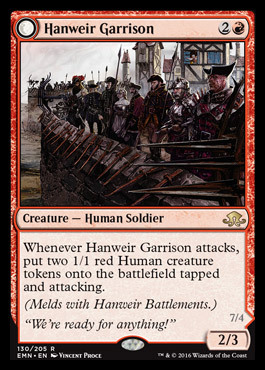 That being said, Hanweir Garrison seems like an insane amount of value for a red 3 drop. It reminds me a lot of a more forgiving Goblin Rabblemaster. It will end the game quickly if it is allowed to attack a few times and leaves some bodies behind if you eventually find a removal spell. The land is an easy inclusion in a red aggressive deck and it combos well with the Garrison (haste allows it to make value the first turn). I would be surprised if we don’t see some Hanweir, the Writhing Township at the Pro Tour. These are long shots, maybe…. Niblis of Frost is an intro pack rare which are generally not very powerful. Every once in a while we get a Pia and Kiran Nalaar which are better than expected. Niblis has the potential to be pretty busted with it’s instant speed ability to “frost” creatures. It isn’t embarrassing at attacking and can clear the way of any Archangel Avacyn shenanigans. The fact that we don’t have a common place 3 damage red spell really makes it shine. Thalia’s Lancers is far more appealing. It’s fairly aggressively costed. A 5 mana 4/4 first strike that draws a card is a pretty reasonable card. 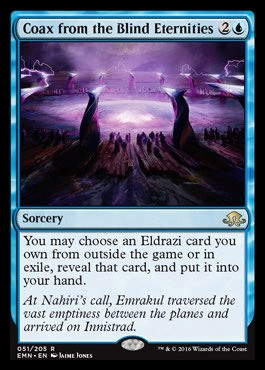 The fact that this lets you tutor for a card instead of just drawing a land is big game. 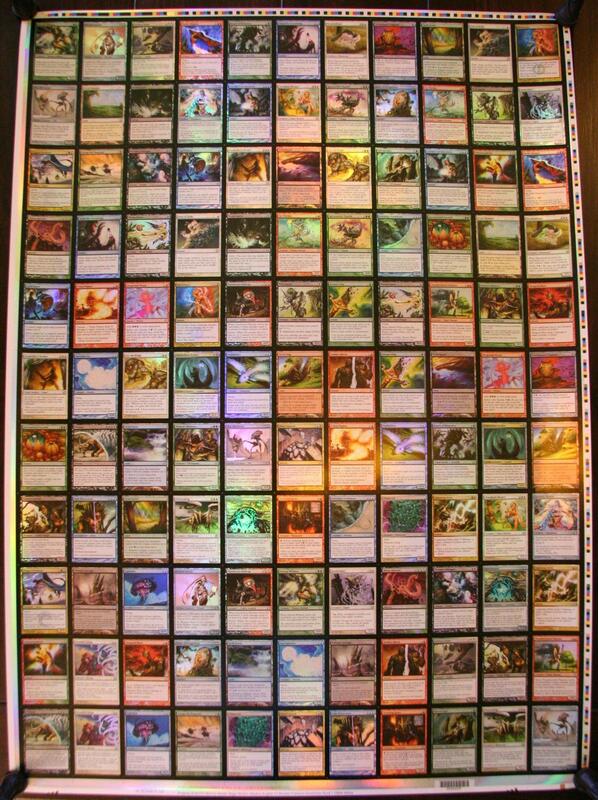 It also doesn’t do the obnoxious thing that some cards do and put it on top of your library. 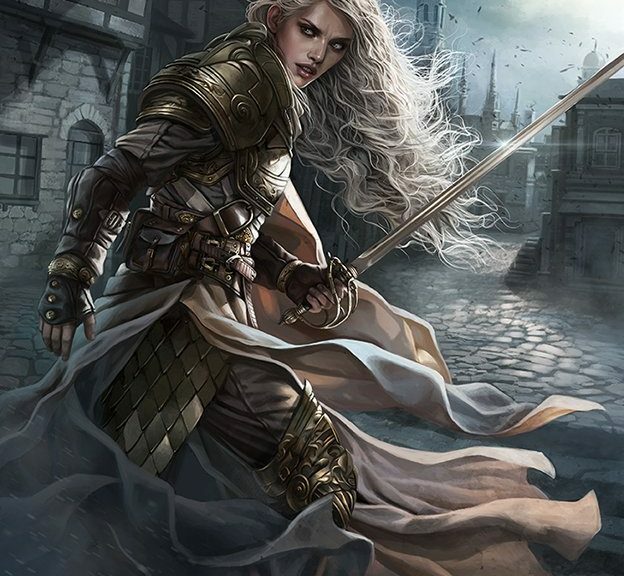 I would not be surprised to see Thalia’s Lancers go find an Archangel Avacyn or Bruna to keep the value train running. Kind of amusingly, you can reanimate Thalia’s Lancers with Bruna to go find another legend (like another Bruna for when they die). This card could be very good if the format breaks the right way. That being said, because white is so good it might have a hard time finding a home. We have seen a lot of double-faced cards. We might only have a few more rares and maybe 1 more mythic before we’re done with those. Cards will get better or worse depending on what is spoiled so always keep an eye on new cards as they get spoiled. We haven’t seen any rare emerge or escalate cards yet. I expect some of them to be standard staples.